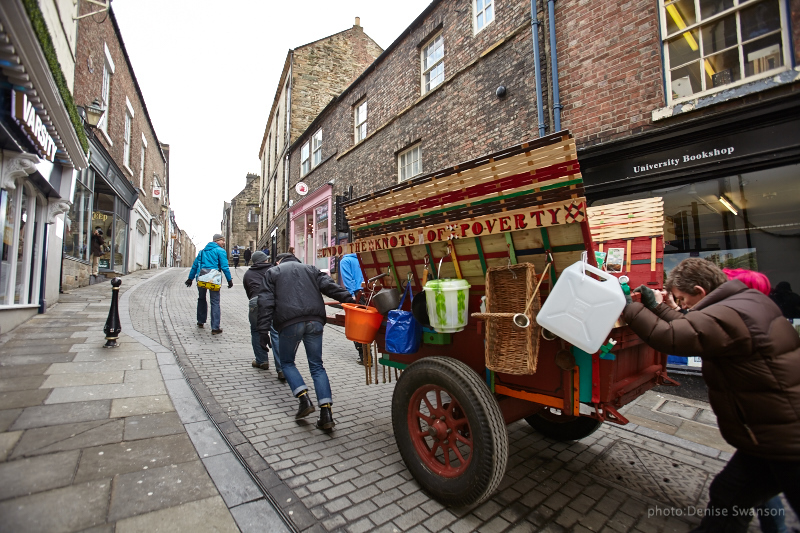 CART in Durham is part of “Is it time?” a multi-artform,multi-disciplinary project that involves academics, artists, cultural organisations, communities and the general public in a range of interactive activities, performances and events in County Durham between October 2012 and June 2013. A mini museum and cinema exploring the possibilities and revealing the evidence of how people can take their histories with them. CART in Durham is a fluid, moving transient memorial, a participatory celebration of the resilience and adaptability of migrant communities.